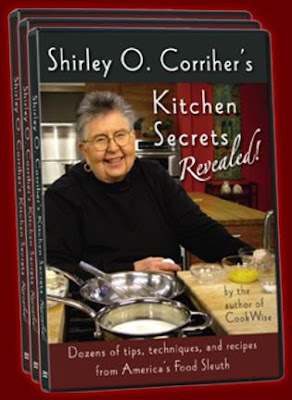 The Sensitive Epicure: What I Learned from Shirley Corriher: Chef & Biochemist Extraordinaire! Thanks for those wonderful tips!!!!! just discovered your blog--thought you might be interested in checking out my gf blog that's mixed with other fun stuff! I hope that you succeed in your quest to be the GF Shirley Corriher! I was just going to write her pleading for her next book to be GF baking. Now, I don't have to!